Gun Outfit have recently signed to Paradise of Bachelors, and Dream All Over serves as their début release on the North Carolina label, out now. Let me introduce you to Washington State’s Gun Outfit: despite being four LPs into a career eight years long, they’re still low-key enough that Pitchfork, one of their early advocates, hasn’t yet declared war on them in return for clickbait and a satisfying anger-filled comment section. Caroline Keith and Dylan Sharp lead the band of four, whose relocation to The Big Orange in 2012 has not yet deterred the obsessively bohemian publication from praising them. As a widely-known comparison, you might say their sound is reminiscent of Come Around Sundown-era Kings of Leon, and Sharp’s vocals are surprisingly evocative of Caleb Followill’s, but on Dream All Over, they rarely reach the tempos that the Nashville rockers relish. A desert warmth is omnipresent due to the dusty reverb and lightness of production, and there’s not a single shred of vibrato in sight; the dual vocals of Keith and Sharp are never about power and theatrics, but comprise a remarkable and satiating twinship. Lead single ‘Legends Of My Own’, sung entirely by Keith, feels a little like an excerpt from Liz Phair’s Exile in Guyville, albeit less confessional, but complete with delightfully slovenly assembly and a nonchalant lilt evocative of Laura Marling. 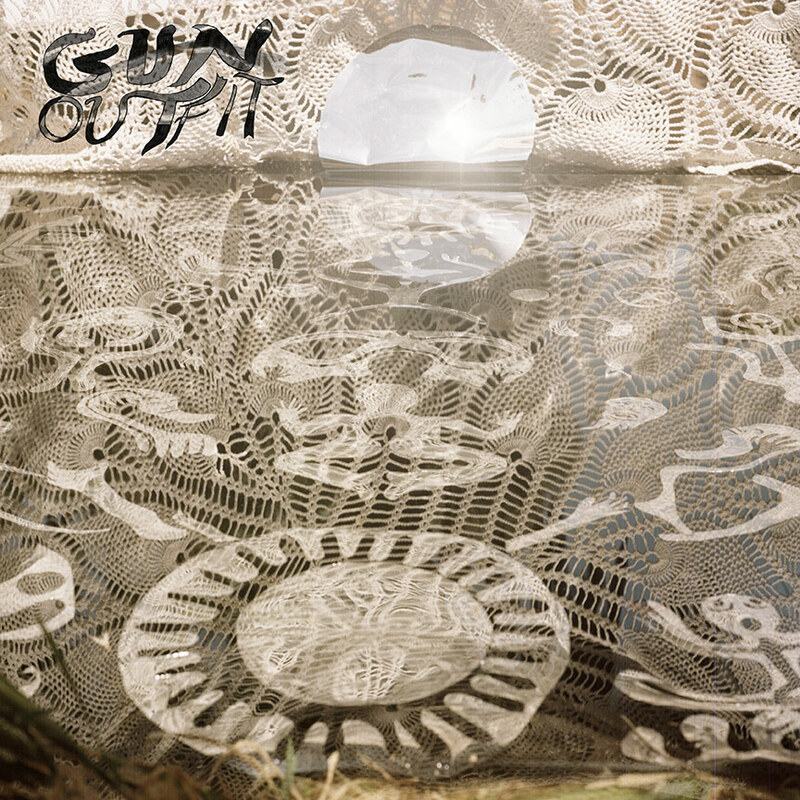 But enough comparison; it’s not as though Gun Outfit are swimming in similar-sounding contemporaries, with particular thanks to their dexterous dual vocals, and not often do you find a dusty rock band incorporating, a reported, three home-made electric sitars. Everything here drives along smooth as butter, and it’s very cohesive – to the point of pushing its luck with monotony. The unrelenting major key is pleasant, but tracks like the album’s longest, ‘Angelino’, certainly risk testing the attention span of listeners. This makes the lift in tempo during ‘In Orbit’, which also contains a subdued monologue from Sharp, a welcome shake-up of the well-oiled engine that is their signature sound. The album demands attention without ever abandoning its gracefulness. Dream All Over slots happily into the Gun Outfit canon, never pushing their boundaries enough to substantiate a real departure from their previous works. Its ponderous and steady air never makes for a challenging listen, and it’s as apt for a roadtrip as anything else you’ll hear this year.